these include the psoas and iliacus muscles;the quadriceps femoris muscles, especially the rectus femoris component; the abdominal muscles ,especially the rectus abdominis; and the spirales　ischiofemoral.iliofemoral and pubofemoral ligament.Turning to the torso, the main structural limitations to backbending in the thoracic region are the rib cage……..
Asana is perfect firmness of body, steadiness of intelligence, and benevolence of spirit. Once I was called ” Iron Iyengar” by a journalist, and I had to correct him that I am not hard like iron, but hard like a diamond. 三歲起 Aadil 就跟著當時懷孕的母親一起上 Iyengar 大師的課。他七歲起正式學瑜珈， 22 歲榮獲資深瑜珈教師的認證。他的教學傳承自 Sri Aurobindo and the Mother of Pondicherry, India ，又名 "Purna Yoga." 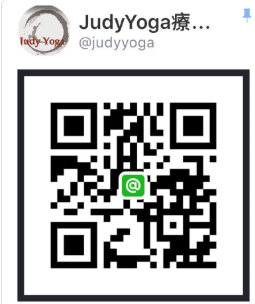 不！你會說，我不同，I am so special because I practice Yoga.